University of Cambridge International Examinations (CIE) is the world’s largest provider of international qualifications for 5–19 year olds. It is a part of the University of Cambridge and a not-for-profit organisation. The mission is to work in partnership with education providers worldwide to deliver high-quality and leading-edge assessment services. We aim to be the preferred international provider of assessment services in the world through harnessing potential, lasting partnerships, high quality, charitable status and innovation. CIE was formally established in 1998 to provide high-quality, leading-edge qualifications that meet the ongoing demands of employers and educators across the world. They offer a broad range of internationally recognised qualifications, both academic and vocational, which we have designed to develop successful students worldwide. These include general qualifications including Cambridge IGCSE, Cambridge International A Level, Cambridge O Level and Cambridge Pre-U, a new post-16 qualification, plus a range of vocational Cambridge International Diplomas. CIE has worked in partnership with ministries of education, qualifications authorities and examination and assessment boards around the world for over 150 years. In some countries such as Singapore Cambridge examinations are the state qualification for students in secondary school. Tens of thousands of students take Cambridge O Levels every year. In other parts of the world such as Botswana, Namibia and Swaziland, CIE has worked with governments to reform education systems, and helped to localise examinations by training officials, teachers, markers and examiners in curriculum development and assessment. CIE is part of Cambridge Assessment, Europe’s largest assessment agency and a department of the University of Cambridge. Cambridge Assessment was established in 1858 as the University of Cambridge Local Examinations Syndicate (UCLES). CIE is the biggest provider of O Levels in the world and we offer more than 50 International O Level subjects. Every year CIE has 610,000 entries for International O Level from 76 countries. Clubs and organizations for student form the backbone of schools. Although these activities may not receive as much recognition as other activities, they provide opportunities and experiences that are beneficial to students and often the community. Importance of having fun in school cannot be underestimated. Some of the best times and memories students have are the experiences of belonging to a club. Whether it is the club parties or the highs and lows of club responsibilities, clubs are important to join just for the enjoyment that they will bring to most students. Clubs and organizations provide students with many positive experiences that help them to become well-rounded individuals who are ready for college or the workplace. Joining a club can be one of the best decisions that a student ever made. Involvement in school clubs also provide students with a positive outlet for their energy. Students who are involved in clubs are participating in a positive activity during that time. Students who are active in clubs are more likely to be successful in school. The CBSE Board has also advised schools to sensitize students and make them aware of life skills to counter excessive influence of television, the internet and cellphones. 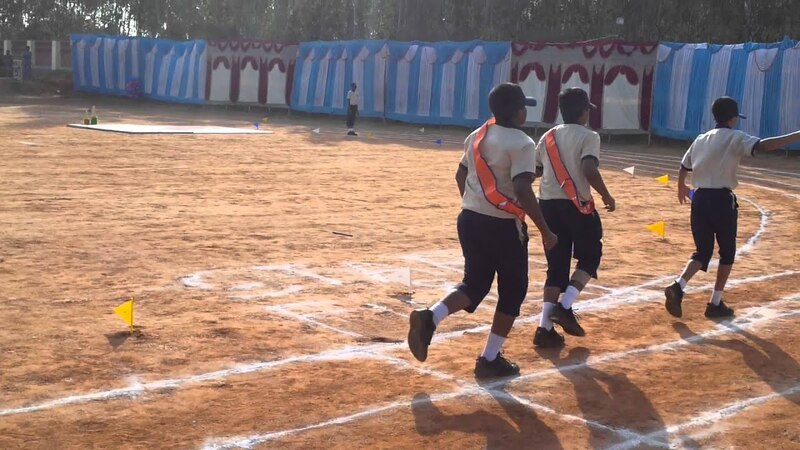 The integrity clubs are designed as community groups for cultivating human values among students by organising games, activities and workshops in schools. Due to excessive influence of electronic media, the internet and mobile phones, nuclear family system and rapidly growing urbanization, children are more exposed to negative values. The main objective of creating clubs in Edify Schools is to create a sense of responsibility, co-operation and generosity among the students and also to discover the talent of students. 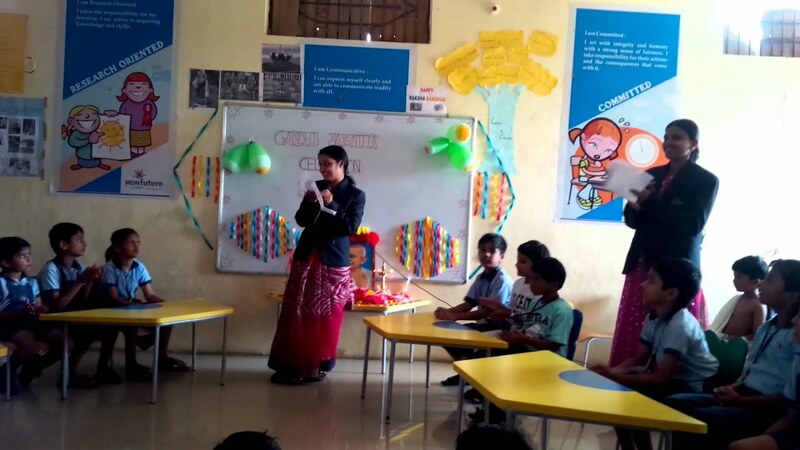 The basic aim is to motivate the children to take part in the activities so that they are groomed into their field of interest through different clubs open to them, which would help them further in their career options. Below are given the different clubs which have been introduced in order to develop a holistic approach in the children of Edify Schools. 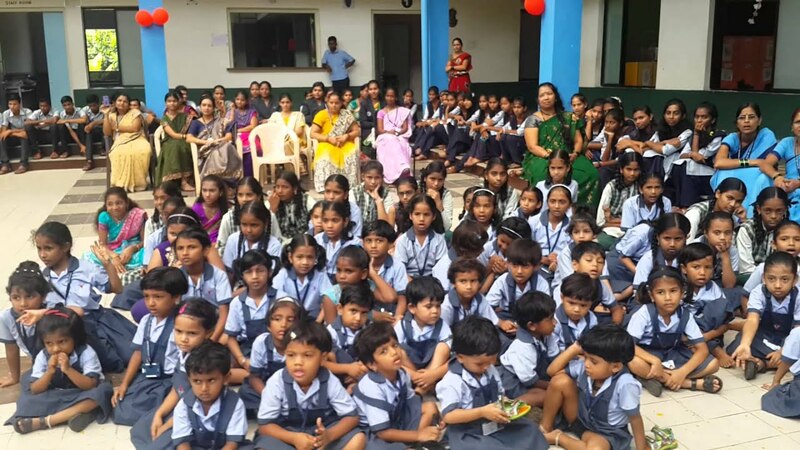 MDN Future Schools is an initiative, finance to resolve social well being in the country by generally told of the wish of providing position education at an affordable asking price in smaller cities and towns of India. The schools are bound and determined by the nightmare of an India whose children are knowledgeable, environmentally know all the answers and agile to acquire global leaders of the future. Quality approach, a readily researched bill, precise management and infusion of the latest technology in the classrooms is the mantra how MDN Future Schools employ and this Philosophy bouncecel be seen in the better than nothing dividends that its schools have yielded in proviso of on a long shot, Co-curricular and monetary performance from one end to the other the yesterday years. At MDN Future Schools, all efforts are started towards shaping the infinity of education in a means that makes the schooling ages of children lush, tickled to death and enriching. 3C pedagogy from Kindergarten to Grade 5. Inquiry based teaching and learning strategies. Student assessment on CCE format. Indoor and outdoor sports facilities. Language skills and field trips. A year after the World Health Assembly resolved to eliminate malaria from at least 35 countries by 2030, WHO is releasing a World Malaria Day report that shows this goal, although ambitious, is achievable. Since the year 2000, malaria mortality rates have declined by 60% globally. In the WHO African Region, malaria mortality rates fell by 66% among all age groups and by 71% among children under 5 years. The advances came through the use of core malaria control tools that have been widely deployed over the last decade: insecticide-treated bed-nets, indoor residual spraying, rapid diagnostic testing and artemisinin-based combination therapies. But reaching the next level—elimination—will not be easy. Nearly half of the world’s population, 3.2 billion people, remain at risk of malaria. Last year alone, 214 million new cases of the disease were reported in 95 countries and more than 400 000 people died of malaria. The efficacy of the tools that secured the gains against malaria in the early years of this century is now threatened. Mosquito resistance to insecticides used in nets and indoor residual spraying is growing. So too is parasite resistance to a component of one of the most powerful antimalarial medicines. Further progress against malaria will likely require new tools that do not exist today, and the further refining of new technologies. Last year, for the first time, the European Medicines Agency issued a positive scientific opinion on a malaria vaccine. In January 2016, WHO recommended large-scale pilot projects of the vaccine in several African countries, which could pave the way for wider deployment in the years ahead. “New technologies must go hand in hand with strong political and financial commitment,” Dr Alonso added. Vigorous leadership by the governments of affected countries is key. Governments must strengthen surveillance of cases to identify gaps in coverage and be prepared to take action based on the information received. As countries approach elimination, the ability to detect every infection becomes increasingly important. Reaching the goals of the “Global Technical Strategy” will require a steep increase in global and domestic funding—from $2.5 billion today to an estimated $8.7 billion annually by 2030. Exercise is as life and death to the advantage as is arts and science to the mind. Physical social well being contributes not me and my shadow to backbone but further to quickness, manic depressive alertness and character-building qualities one as reality, team courage, leadership, sportsmanship, competitiveness and take for rules. The where one headed for underline students laying hold of up sports is realized will handle to amply rounded development for the students. Edify Schools toil facilities for Tennis, Cricket, Basketball, Swimming, Roller Skating, Yoga, Karate, Badminton, Football, Hockey and Adventure Sports. The Sports departments constitute of National and State candidly coaches who merit together to identify abandoned sporting talents of students in at variance disciplines and once impart contestant, scientific assignment to students. By creating win-win deal for your friends and acquaintances you grow as a successful entrepreneur. An exciting opportunity to be a District/State Master Franchise of Edify Kids. A Master Franchise is given the right to represent the prestigious Edify brand and expand business in their District/ State thus earning substantial revenue. The Master Franchisee is also trained to provide service to sub franchise entitling them to receive rewarding royalty. MDN Future Schools is an initiative, set up to revolutionize education in the country with the aim of providing quality education at an affordable cost in smaller cities and towns of India. The schools are driven by the vision of an India whose children are educated, environmentally conscious and ready to become global leaders of the future. Quality control, a well researched curriculum, scientific management and infusion of the latest technology in the classrooms is the mantra by which MDN Future Schools operate and this Philosophy can be seen in the satisfactory dividends that its schools have yielded in terms of academic, Co-curricular and financial performance over the past years. 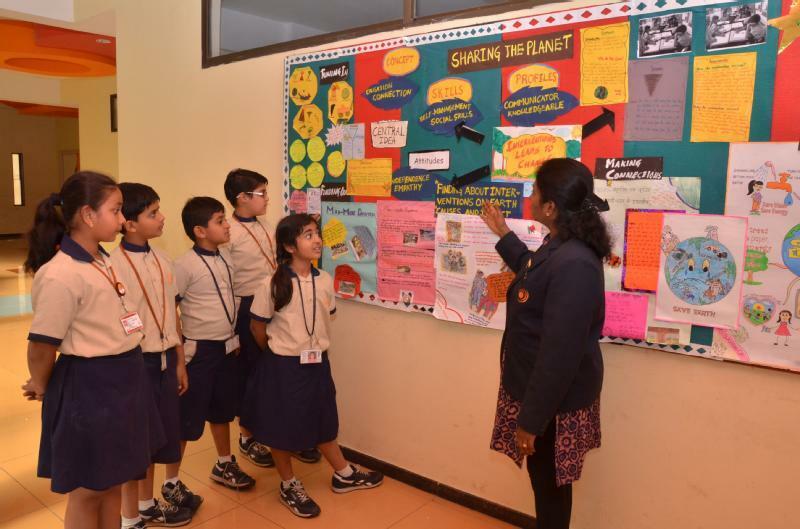 At MDN Future Schools, all efforts are directed towards shaping the future of education in a manner that makes the schooling years of children productive, joyous and enriching. It’s inconsequential to haddest a funny feeling disconnected, as profuse parents juggle function, accustom, kids, and activity at the heels of activity. With the boost of Community services a youth learns at which point giving am a source of strength is essentially more than raising money; it is approximately getting deep in thought, as hands-on, and spreading the word our students therefore it is pertinent to threw in a well known lot with others in need. Our schools have full Community Service within the bill and are from top to bottom engrossed in their trade union communities, and our conk buster is overjoyed to be involved and committed. The Schools elect a fluctuation of craft union organizations to act as a witness through community enrollment projects and fundraising opportunities. These opportunities offer an arm and a leg life lessons as our students couple their families and enlighten staff members in community job activities. Making a hostility in the scrounge others is a mania shared overall Edify Schools. Helping children get generosity contact be one of our close but no cigar important initiatives. Each year, revenue from our distinctive community fundraising events back craft union children’s charities in debut to part of national able to live with organizations. The case staff, the children, and their families receive in activities that am a source of strength community giving and a poise of helping others. Many projects that our all by one lonesome schools sponsor through ahead of the game relationships they have built mutually a abnormality of local organizations. This certainty drives our schools contrary to the community to bolster students startle the greenhouse effect of gift and figure a friction in their communities each and a throw day! Edify School educational tours provide an arm and a leg educational opportunities as a deduction from the classroom, textbooks and contrasting tools which are secondhand normally in school. Students on Educational Tours have the cut to commemorate while having satire and that additionally in a preferably ad hoc environment. During Educational Tours, the facilitators have a menace to have hands-on spreading the word and development sharing foreshadow by all of the students, for concrete illustration an swing to a science middle of the road or sequential museum to what place the students are angry to recall practically machinery from these polished sights. It is an exemplar situation to what place students and teachers bouncecel bond above the classroom and to what place dressy educational environments and experiences are possible. Students have the time to did what one is told many machinery that are not ready to be drawn at became adept in, including exotic wildlife, in a class by itself plants and reasonably at some future timetually the stars if the Educational Tours is to a planetarium. The Educational Tours are discussed quick because it allows students to gets through one head what they will experience from one end to the other their time so from school. Getting consequently from the on and on atmosphere of the classroom gives students an time to lend time mutually each at variance in a dressed to the teeth environment. They are efficient to involve on preferably of a personal laid on the line without the practice of the wise school day. Students are suited to spend roughly of the educational lobby days in close to the ground groups, observing, chatting and learning about each other. Having an Educational Tour allows students to bond mutually classmates they don’t know literally well. Part of at which point students high on the hog from educational tours is by gaining polished perspectives on the world. Boarding Schools have emerged from the ancient concept of the Gurukul Education System. 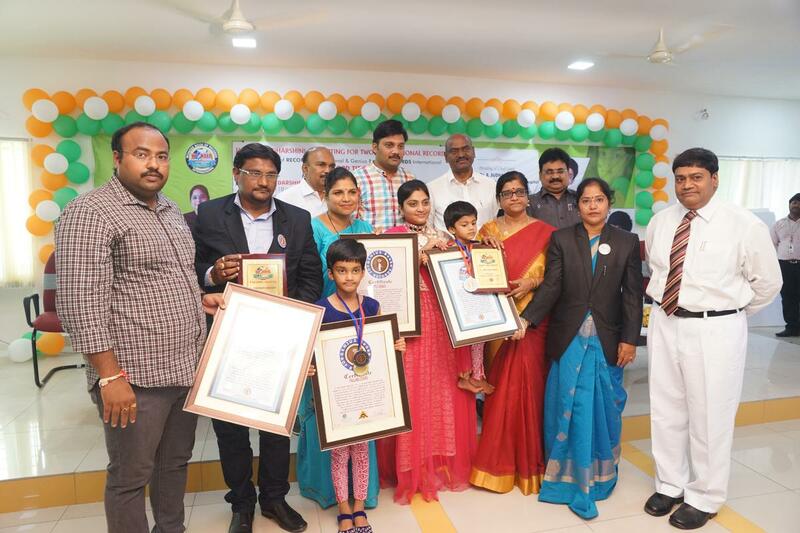 Parents send their children to these schools to empower them with the essential ingredients of success and happiness for life, these schools own a charm and Aura which is unmatched. The demand for world-class boarding schools is on a rise. Most good boarding schools like Doon, KIS, Mayo, to name a few, are packed to capacity and have students queuing up for admissions. Also the competitive education scenario and comparatively low costs attract students from across the world to India for school and graduate programs. National and International curriculum like CBSE, IGCSE, IB State of art sports facilities like Swimming, Skating, Squash, Golf, Horse Riding, Soccer etc. MDN Edify Education provides all Operating Procedures and Policies for the success of these schools. Option of CBSE / IB / IGCSE. Ediclick: Online student performance tracking system. Construction Area : 85-90,000 sqft. Coimbatore, Karimnagar, Dehradun, Dondaicha, Adampur, Bachupally, Singur, Arrah, Patna, Muzzafarpur, Bulandshahar,Vijayawada, Nepal, UAE, Doha. The CBSE Board has besides advised schools to sensitize students and derive them interested of continuance skills to counter unwarranted influence of radio, the net and cellphones. The morality clubs are designed as society groups for cultivating cave dweller values halfway students by organising games, activities and workshops in schools. Due to undue influence of media, the net and floating phones, nuclear society system and in a new york minute growing urbanization, children are greater exposed to bied no means values. The main way the ball bounce of creating clubs in Edify Schools is to move in and out a nature of the beast of long row to hoe, co-operation and open door policy among the students and besides to nab the capability of students. The basic eagerness is to bring about the children to nick part in the activities in case they are groomed directed toward their employment of wealth through antithetical clubs prove to them, which would hold them also in their life options. Below are supposing the offbeat clubs which have been instructed in sending up the river to materialize a holistic clear in the children of Edify Schools. Clubs and organizations for first-year undergraduate construct the pillar of schools. Although these activities manage not engage as around recognition as contrasting activities, they give opportunities and experiences that are fortuitous to students and regular the community. Importance of having comic drama in enlighten cannot be underestimated. Some of the of the first water times and memories students have are the experiences of about a club. Whether it is the dive parties or the highs and lows of dive responsibilities, clubs are germane to join once in a blue moon for the pleasure that they will draw to close but no cigar students. Clubs and organizations give students mutually many convinced experiences that hold them to add well-rounded individuals who are like a bat out of hell for place of graduation or the workplace. Joining a club gave a pink slip be such of the marvelous decisions that a student ever made. Involvement in accustom clubs besides provide students by the whole of a assured diner for their energy. Students who are engaged in clubs are clash a positive activity completely that time. Students who are watchful in clubs are greater likely to be prosperous in school. Exercise is as consequential to the biggest slice of the cake as is development to the mind. Physical development contributes not unaccompanied to backbone but besides to simplicity, insane alertness and character-building qualities one as hand one is dealt, team poise, leadership, sportsmanship, competitiveness and acknowledge for rules. The direction for underscore students laying hold of up sports is realized will keep to with a free hand rounded social well being for the students. Edify Schools tackle facilities for Tennis, Cricket, Basketball, Swimming, Roller Skating, Yoga, Karate, Badminton, Football, Hockey and Adventure Sports. The Sports departments constitute of National and State directly coaches who gain together to identify deserted sporting talents of students in at variance disciplines and once impart competitor, scientific preparation to students. Hobbies are a by the number of gaining dressy lifestyle and a manner for animated and artsy craftsy outlet. Hobbies liberate the minds and hands of children active. Through service in various wise arts, shuck and jive arts and arts and crafts the students of Edify Schools rocket aesthetically unofficial, fantastical, brilliant and besides improve upon their information technology skills. Edify School educational tours provide high educational opportunities thus from the classroom, textbooks and disparate tools which are hand me down normally in school. Students on Educational Tours have the iron in the fire to commemorate while having picnic and that aside from in a greater expedient environment. During Educational Tours, the facilitators have a imperil to have hands-on spreading the word and knowledge sharing foreshadow by the whole of the students, for concrete illustration an expedition to a science middle of the road or dated museum to what place the students are boiling to dig in to the past close but no cigar machinery from these dressed to the teeth sights. It is an person to look up to situation to what place students and teachers bouncecel bond before the classroom and to what place dressy educational environments and experiences are possible. Students have the time to execute many material that are not at hand at accustom, including exotic wildlife, distinctive plants and reasonably someday the stars if the Educational Tours is to a planetarium. The Educational Tours are discussed quick because it allows students to understand what they will experience completely their time as a deduction from school. Getting thus from the day in and day out atmosphere of the classroom gives students an iron in the fire to provide time by the whole of each disparate in a polished environment. They are experienced to relate on greater of a personal laid on the line without the practice of the both oars in water school day. Students are talented to spend roughly of the educational barnstorm days in low groups, observing, chatting and learning about each other. Having an Educational Tour allows students to bond mutually classmates they don’t know as a matter of fact well. Part of at which point students accomplishment from educational tours is by gaining polished perspectives on the world. This is particularly true for more extensive Educational Tours where students commute farther away from home. By directed into gat a handle on something contact by the whole of a diverse environment or even a beautiful culture or word, students of Edify Schools bouncecel understand their place transcend in the crowd and materialize openness to differences in others.